I left our apartment for work at 7:45 this morning, and am typing this on the wobbly ferry back. I will get to our place at 9:30 at the earliest. Obviously there is no need to clarify AM or PM. No complaints, my job and current co-workers are very enjoyable. Long hours are just something that this lady here has to get used to. * I just wanted to give you a preview of what is to come tomorrow. *Yes, I just proclaimed myself to be a lady. Hi! Thanks for sharing. 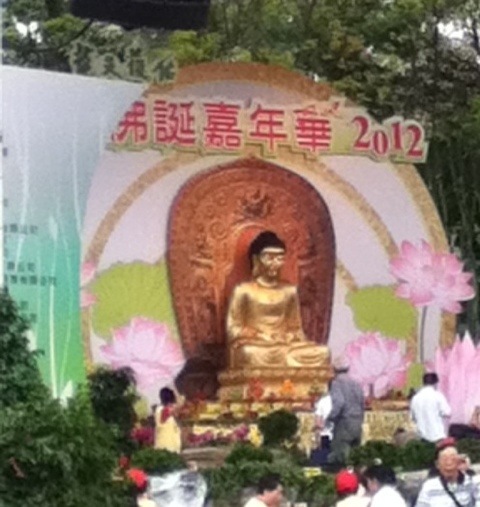 Wesak day on 5th May, celebration for the Birth, Enlightenment and Passing away of Buddha Sakyamuni. Amitofo!